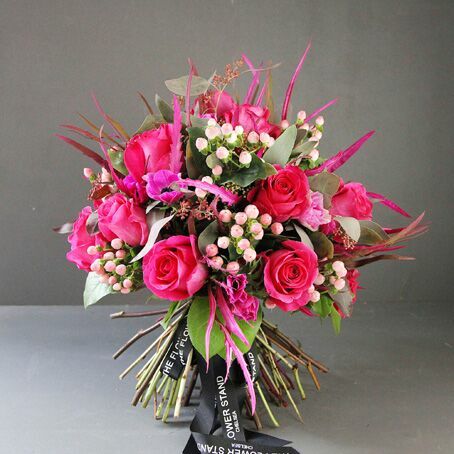 A luxurious bouquet of pink Ecuadorian Roses, offset against a backdrop of bright pink grevillea, eucalyptus, Populus, peach hybericum and pink anemone. 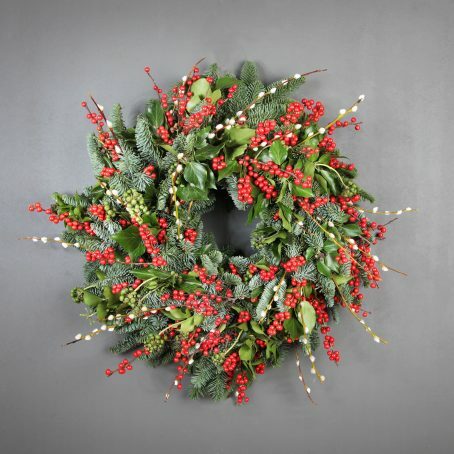 The perfect gift for Christmas. 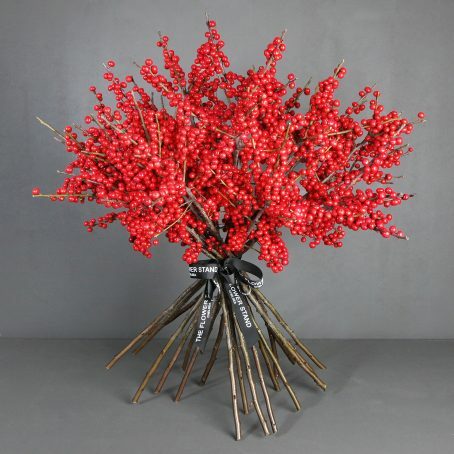 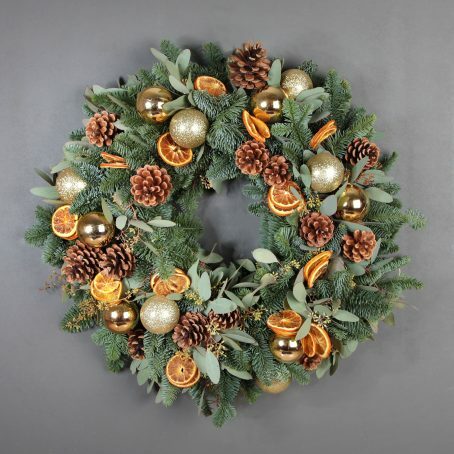 The FUNKY CHRISTMAS BOUQUET with its vibrant colours evokes that seasonal feeling of Christmas. 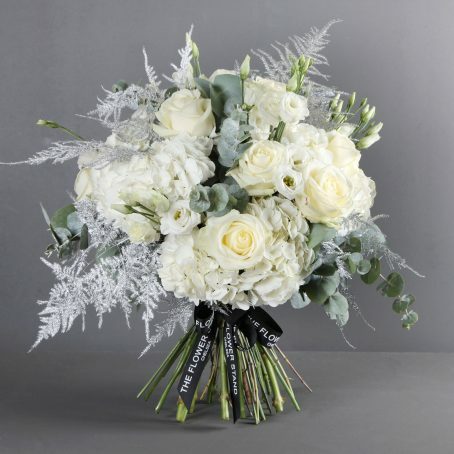 Kindle that festive spirit and show that special someone you care with this luxury bouquet of flowers.